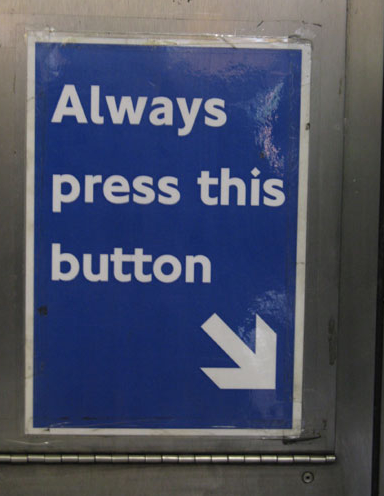 This clever urban graffitti-qua-London Underground signs pokes fun at a slow, crowded, frustrating system, using the system’s own language. Apart from street protests and strikes, this is one of the ways that leaders from the bottom up can (rather sneakily) poke at visible, top-down leaders trying (and apparently failing) to deal with problems in an overloaded system. It may not be worldchanging, in an immediate way, this kind of satirical intervention. It may not be nice. It’s been said that it’s the only kind of protest the powerless can do. Laughter is a step in the right direction — because being nice doesn’t necessarily get ordinary folks the results we want! ← That Which Doesnʻt Kill You Makes You Strong….